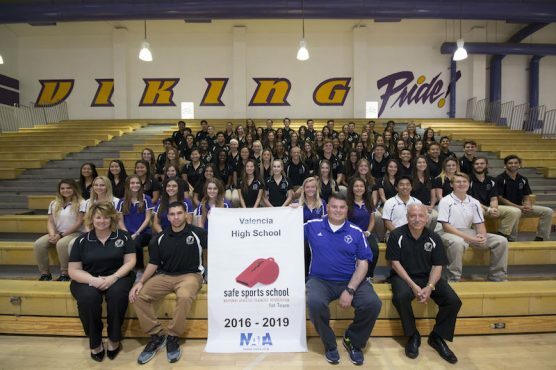 Valencia High School has been awarded the National Athletic Trainers’ Association Safe Sports School award for its Sports Medicine program. The award champions safety and recognizes secondary schools that provide safe environments for student athletes. The award reinforces the importance of providing the best level of care, injury prevention and treatment.